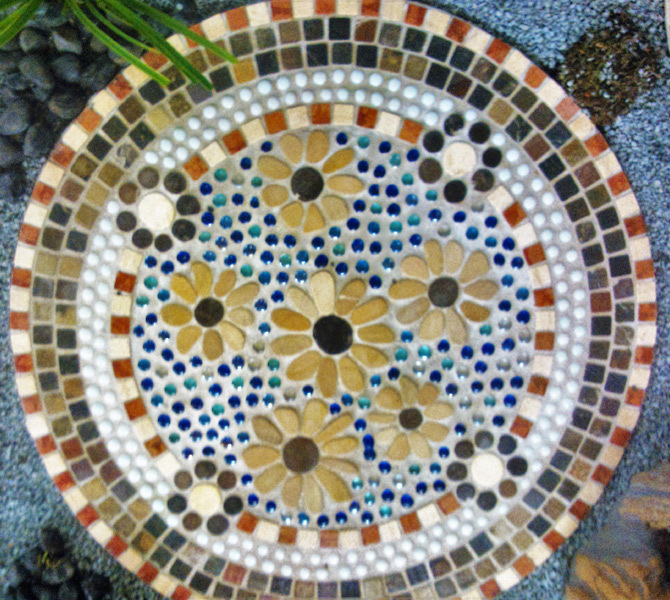 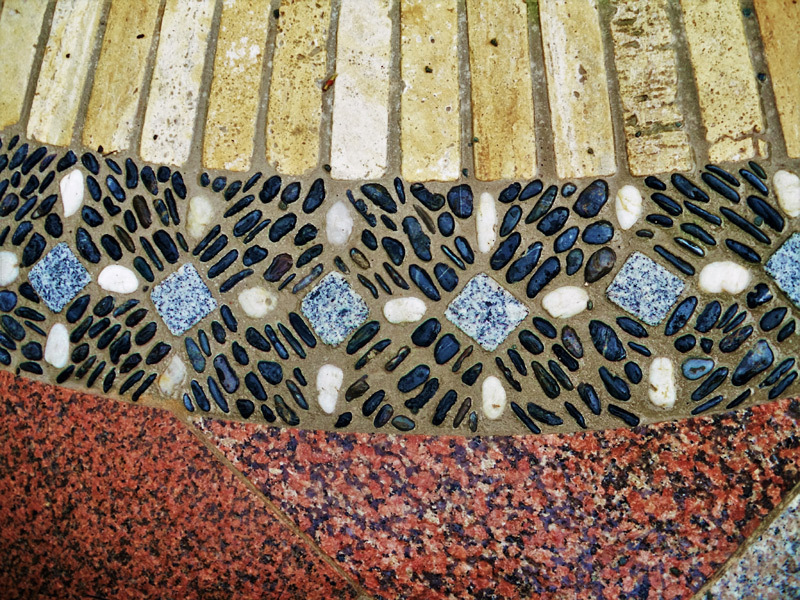 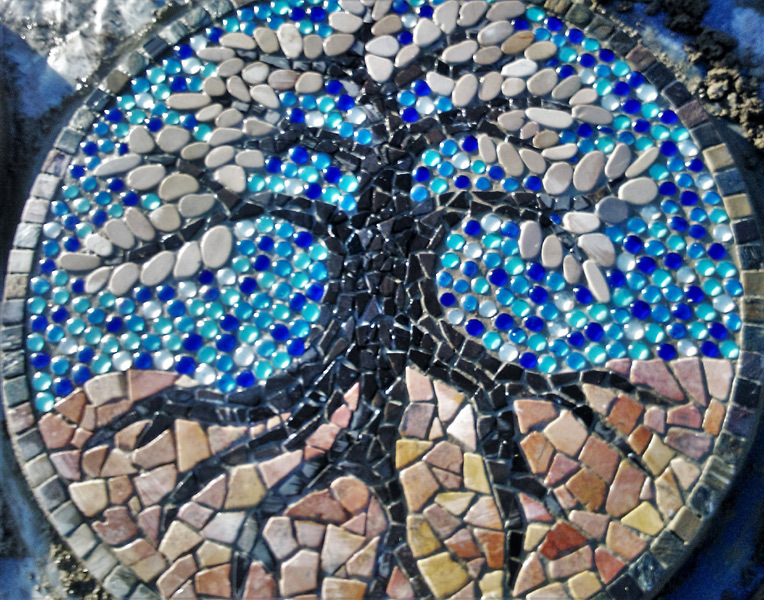 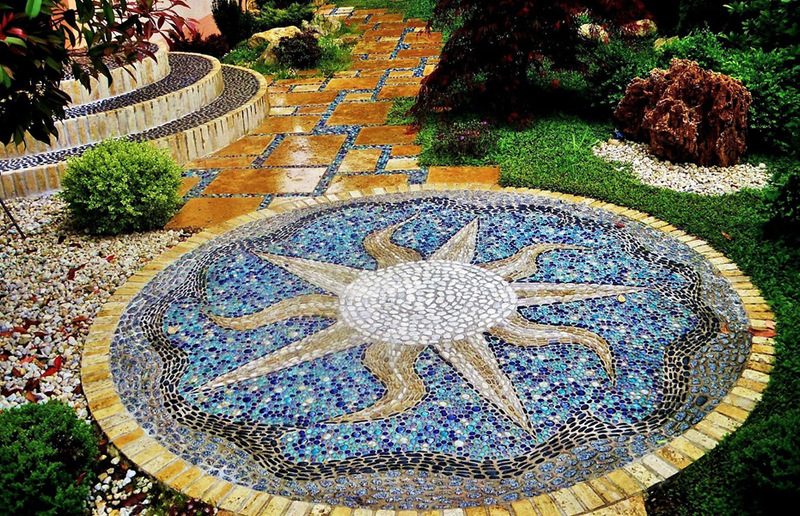 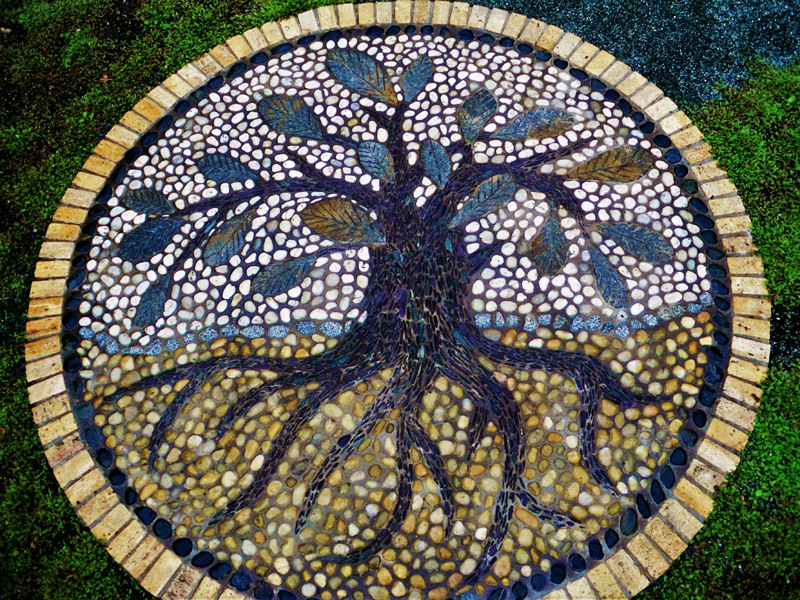 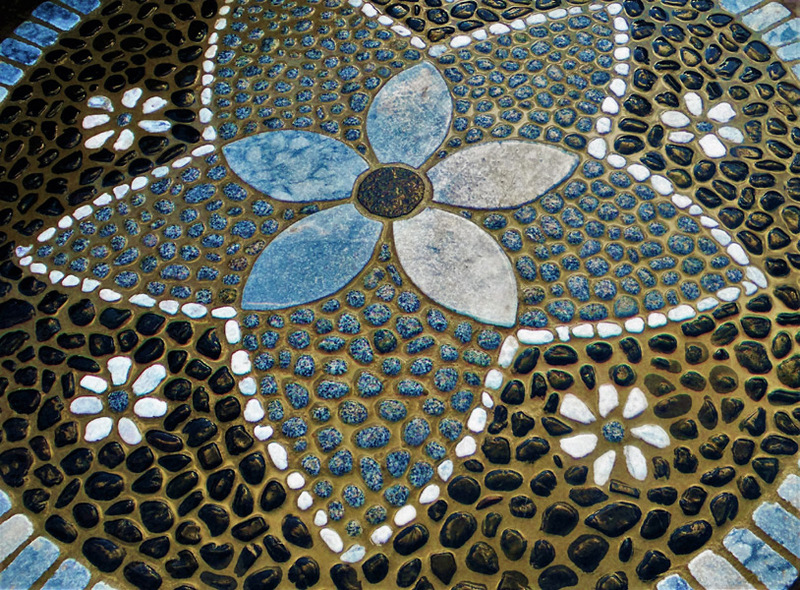 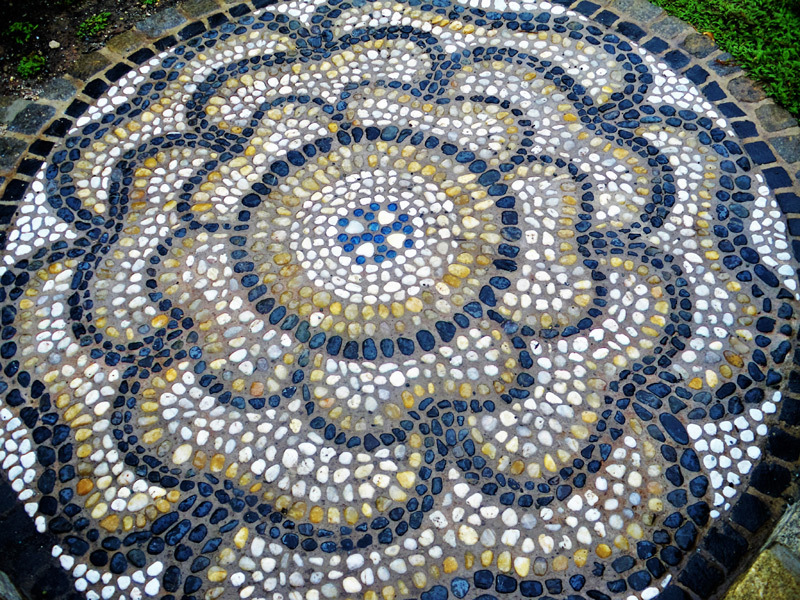 For several years we have been creating mosaics for the garden. 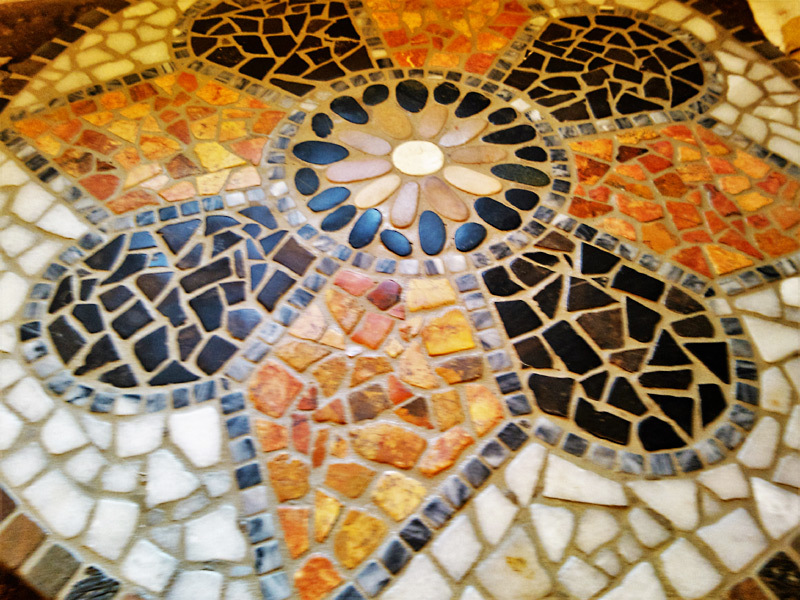 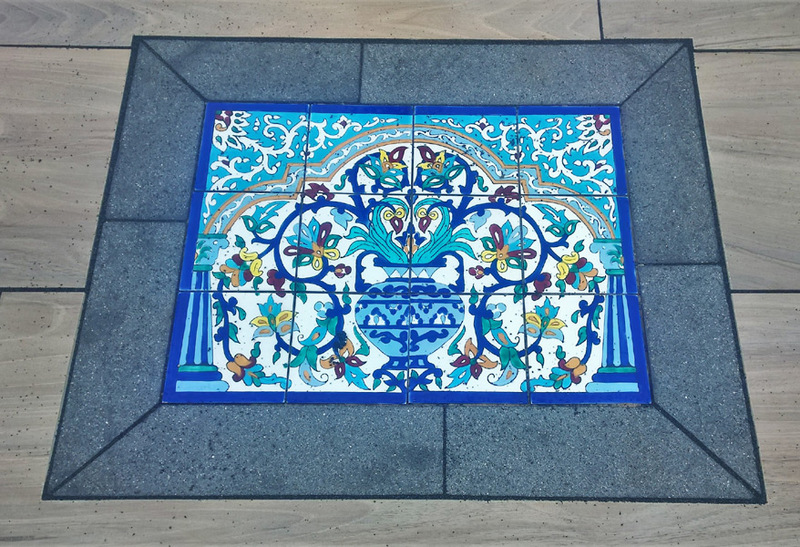 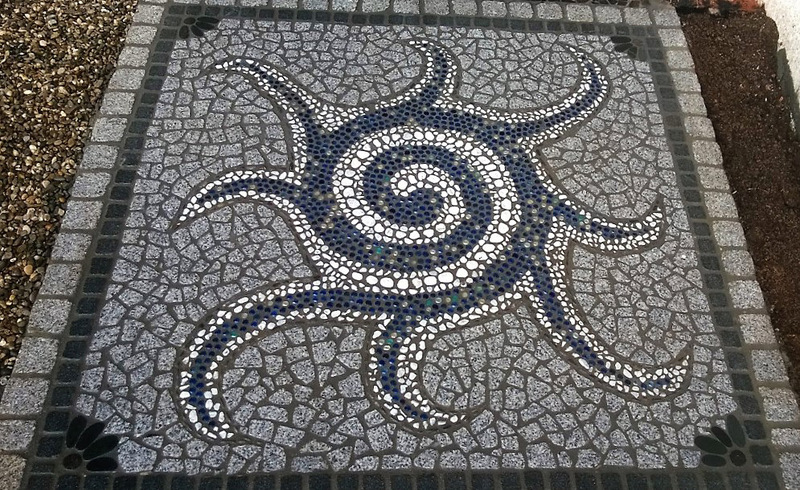 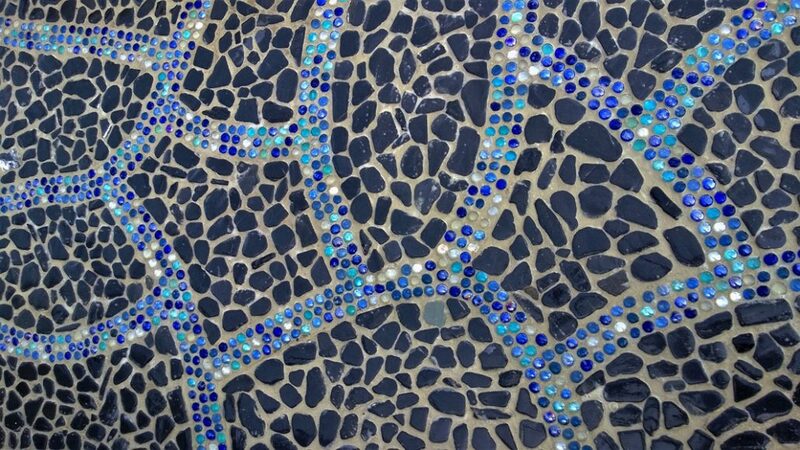 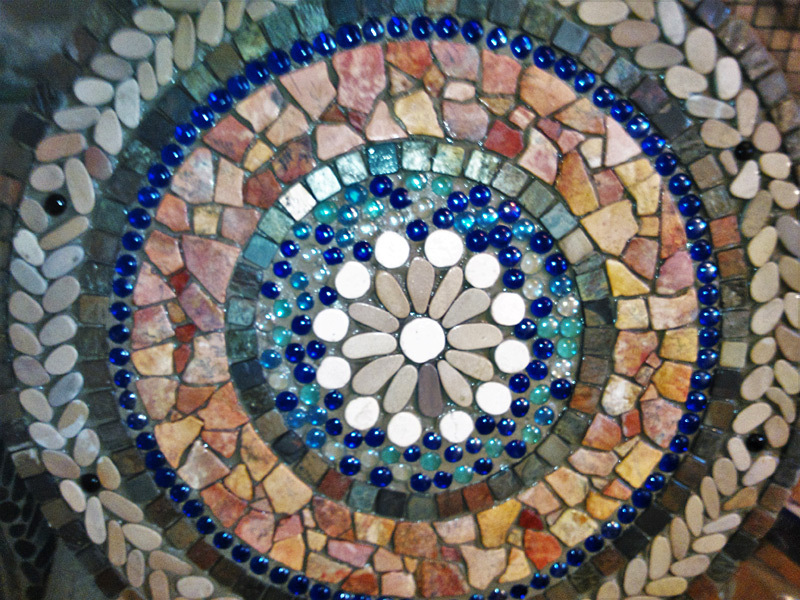 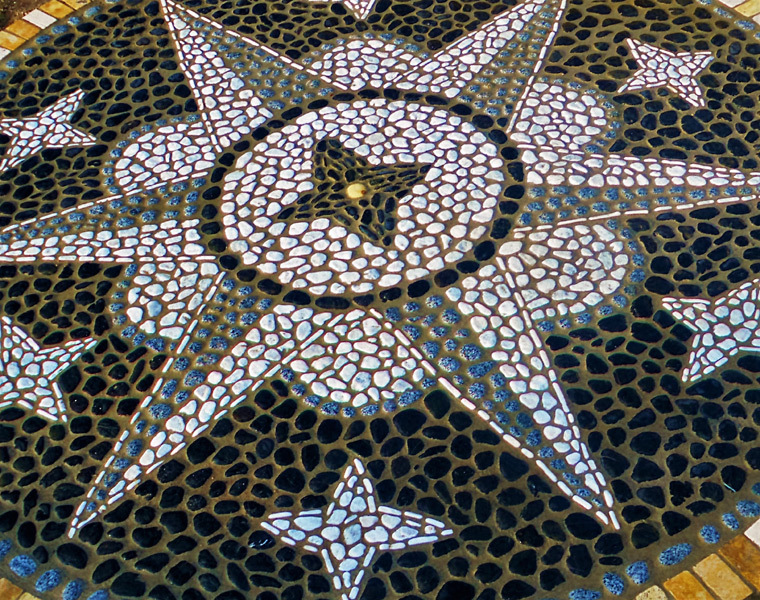 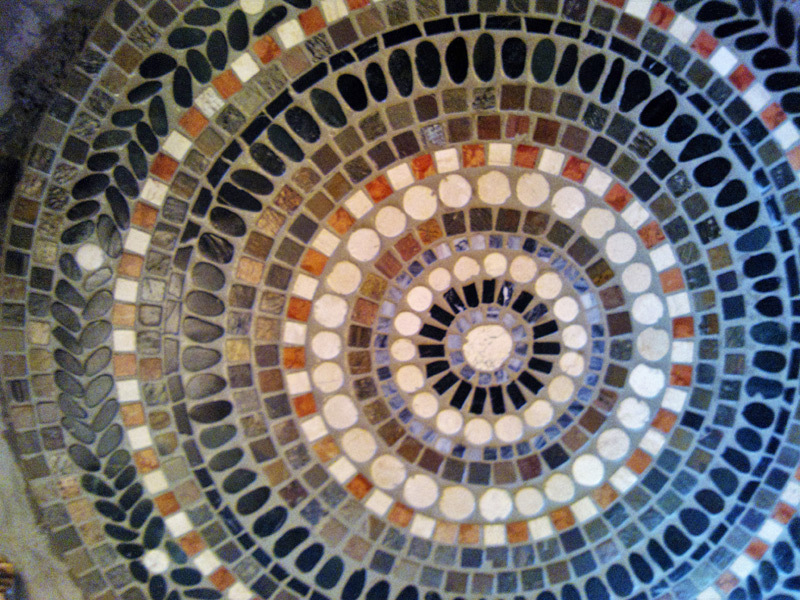 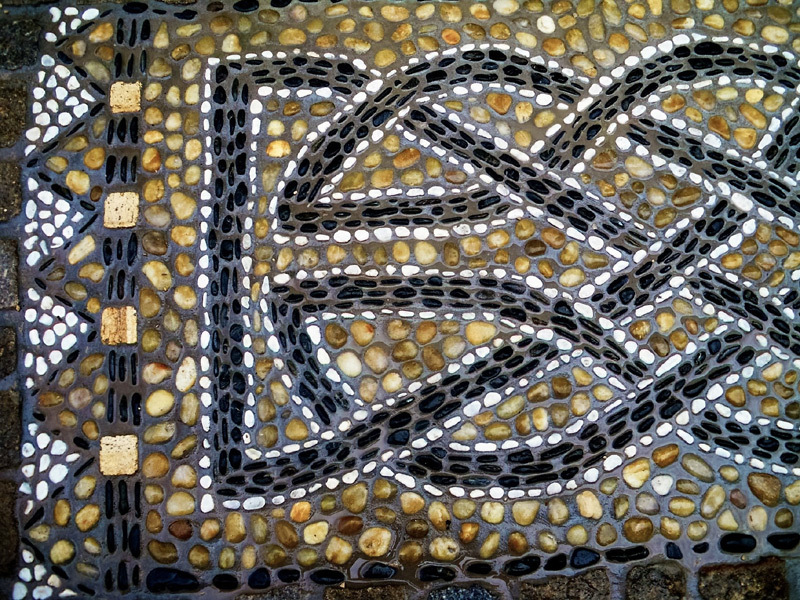 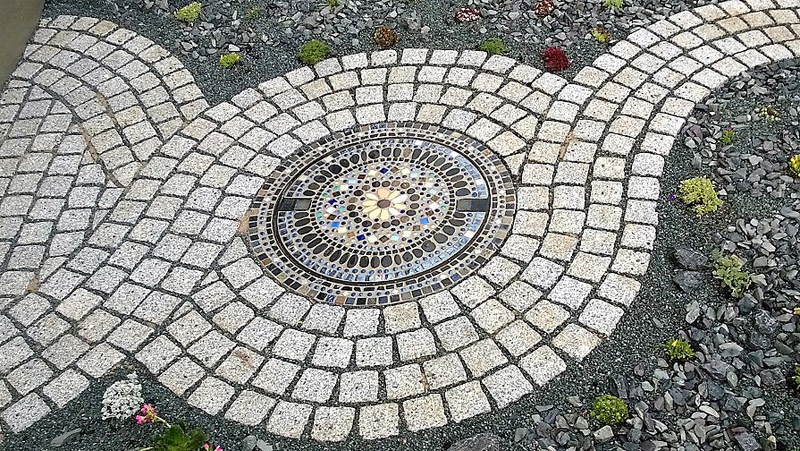 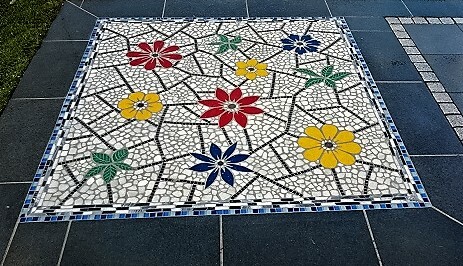 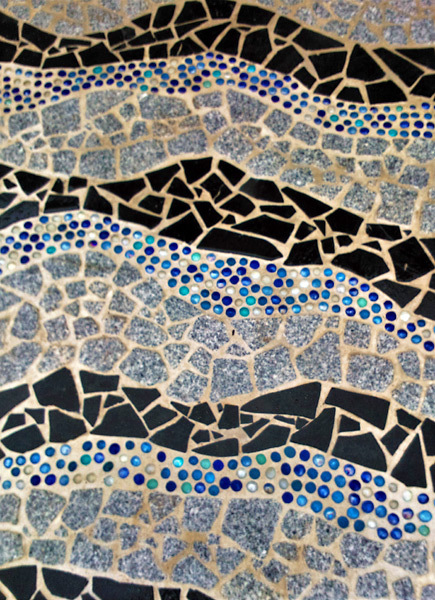 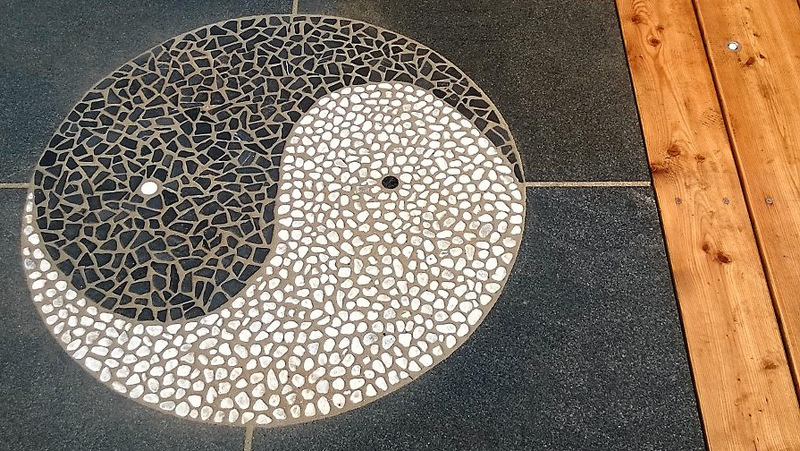 Larger mosaics are laid on site and smaller ones can be made in the workshop. 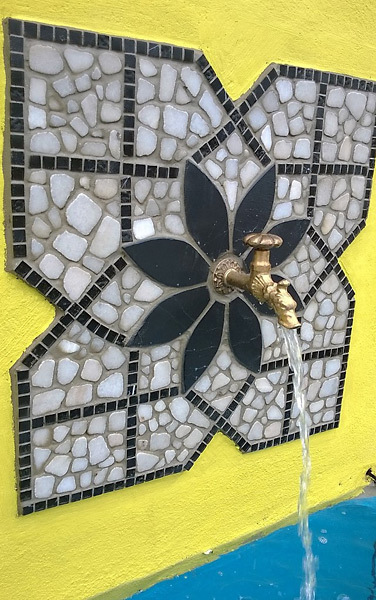 There is a variety of motifs. 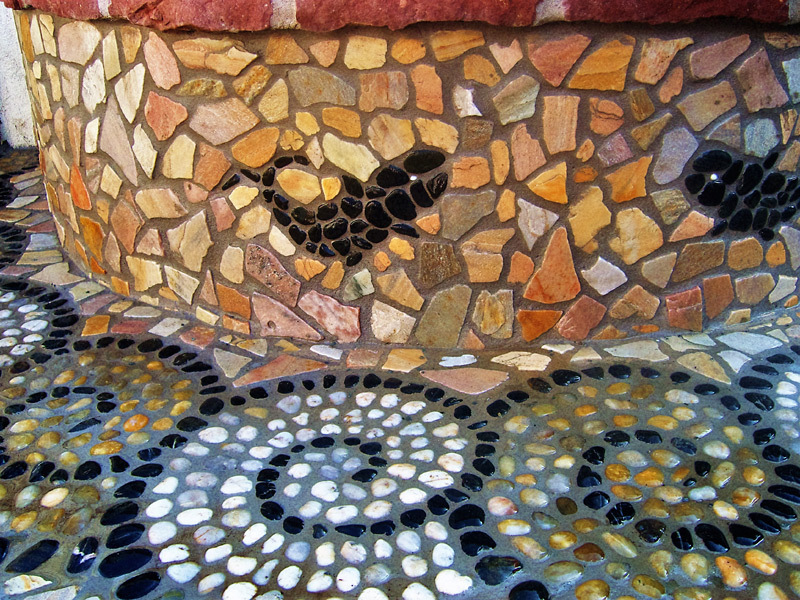 Natural stone pieces, tile pieces or glass nuggets are used as materials.